Please note: Bloomfield Enterprises represents only the products on this website. LARCAN also manufactures a complete line of full power analog and digital transmitter. For more information about them, please click here. LARCAN's FM Translator Series delivers exceptional audio performance and reliability - within an all-inclusive compact design. Designed for high quality off-air re-broadcasting at relay stations - our FM translator line drives higher power to your translator systems. LARCAN - the proven leader in television translator technology offers the same superior performance and reliability engineered into smart, compact and rugged FM solutions. Combining proven technology with high performance and superior RF output - LARCAN's FM translator line delivers clear and consistent results - every time. 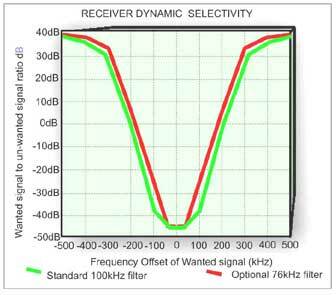 Exceptional rebroadcast quality is achieved through a unique RF tracking filter and high selectivity front-end - ensuring optimum output. Our FM translator series is the right choice for broadcasters looking for the best in made to measure FM broadcast translator solutions.